Search your name in National Voters’ List by entering basic details. Locate your designated polling station on the map. Print out the voter information slip. Know District Election Officials and officials in Chief Election Office. On the landing website, you can choose the option of searching your name by EPIC No., when you click on the said tab, you just have to select the name of your State from the drop-down list and enter your Voter ID Card number. After entering the said details, just click Search. The results would present you the details of entry to the electoral roll of. When you’re off the grid i.e. without an internet connection, you can visit the ERO (Electoral Registration Officer) of your area to check out the voters’ list and know whether or not your name is entered into it. However, this could be a bit time-consuming process. Therefore, we suggest you to tell your friends/relatives with internet to check your State’s CEO website to send you the details of the SMS service for checking Voter ID details entered in the voters’ list. If you’re reading this blog and know of someone who is without an internet connection, please make sure that you yourself check the CEO website and let them know about the SMS service so that they also can easily check their name in the voters’ list, without visiting the Electoral Registration Officer’s office. 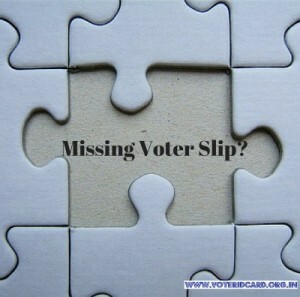 Question: How to Get a Duplicate Voter ID Card which I have Mistakenly Damaged/Misplaced? File an FIR at your nearest police station. Make sure that you retain a copy of that FIR. Obtain the Form No. 002 from your local ERO or take out a print by downloading it from the Election Commission of India website. Fill the Form No. 002 for Duplicate Voter ID Card issuance and attach the copy of the FIR along with the identity proof documents(discussed in the next question). You would have to submit the completed form the same way you submitted your application Form No. 6 for inclusion of name to the voters’ list. To find a detailed information about applying for a duplicate voter id card, CLICK HERE. Question: What are the Documents Required for Applying for a Voter ID Card, Correction of card or any other Application related to it? Proof of Residence, is required to authenticate your actual and ordinary address. Examples of address proofs – Electricity/Water Bill, Statement issued by Bank, Pan Card(along with the envelope it was received by you in) etc. Proof of Age, is required to authenticate the Date of Birth you wrote/typed on the Form No. 6. Examples – Class 10th CBSE (or other recognised boards) passing certificate, birth certificate issued by the civic agency of your state or any other legitimate document signifying the voter’s age. 2 passport size photographs, which have been clicked recently. This photograph would appear on the Elector’s Photo Identity Card. Question: What are the Important Voter ID Card Application Forms? Answer: Although there are several forms available on the Election Commission of India website, but, those that could be utilized by the voters are limited. Here is the list of ECI Forms that the voters can use to get some important voter registration related tasks done. Form No. 8A – For transposition of entry in the electoral roll(change of address withing the same constituency). 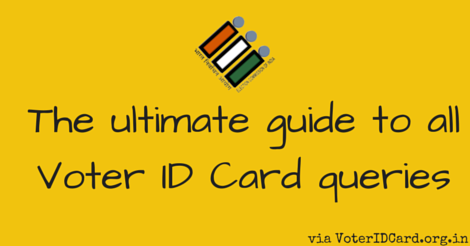 Question: How to Download Voter ID Card? Answer: – A voter could not simply download voter id card from the internet. The voter card is sent to the recipient voter after completed application and verification by the BLO. It is sent by the Govt. postal service. However, with the remarks made by the Honb’le CEC of India, which indicate towards a possibility of online voting in India, it seems that downloadable voter id cards may not be a far-fetched reality and we might as well be able to download them in the near future. The fact that another govt. identity document viz. the Aadhar Card could be downloaded over the internet, shows us that the same implementation for voter identity cards may also not be a far away. Click Here to read more about voter id card download. Question: How to Change Name/Address on Voter ID Card? Answer: The need to change name/address on your Voter ID Card could arise in a number of circumstances. For example, if you have the wrong spelling of your name on the EPIC, wrongly mentioned address, age or D.O.B, then your card qualifies for correction of details which could be done by filling the Form No. 8. This form is available for download and could also be filled online. However, if you want your Voter ID Card to have another address (in the same constituency) to which you have recently shifted then you would have to fill the Form No. 8A. The procedure of filling both of these forms is similar to the procedure of filling the Form No. 6. Appropriate documents and passport size photographs are also required. Question: How to Change Your Assembly Constituency? Answer: An Assembly Constituency is preset for a given address. Hence, no one could change its Assembly Constituency. However, if you shift to another address that lies in a different Assembly Constituency altogether then you must change the address and the AC on your voter id card and in the voters’ list details. When you shift to another Assembly Constituency, you can change the voter card address only be re-filling the Form No. 6 from that new Constituency. This time round, you would also have to provide all the information about your previous registration (EPIC No., old address, etc.) in the last section of Form No. 6. You would also have to attach the photocopy of your old address voter id card (both the sides). Question: Can I change my polling booth within the same Assembly Constituency? Answer: No, changing the polling station/booth that has been allotted to you, is not possible. However, the CEO of your State and the Election Commission of India try their level best to allot the polling station that are nearby the voters’ residences. Therefore, only in rare circumstances, a need to change to change polling booths would arise. Question: How can students staying in hostels or messes in other states/cities cast their votes? Answer: For students living away from their native places, in hostels or messes, voter registration is still possible in the Constituency they’re staying for studies. This means that you can cast your vote if you’re eligible to be a voter, even if you do not live in your native Constituency. To register as a voter in your hostel/mess’ Constituency, you would have to fill the Form No. 6 again, but, this time you would have to attach a declaration that declares that you reside temporarily in the said establishment and are enrolled in bonafide educational institution. The declaration must also be duly attested by the head of the institution you’re enrolled in. To know more about this procedure, CLICK HERE. Question: – How married women can have their name / address changed? How can they enroll their name in the voter list of their new address (that is, assembly constituency)? Answer: Newly married women in India typically have to change their residence to the one where the family of their better halves reside. Therefore, some women may want to get this change in surname and address to reflect in their voter id cards and also in their voters’ list details. For this reason, the new married women are advised to fill the Form No. 6 again from the new Constituency and make sure that while filling this form again, the changed surname and the new address are mentioned. They would also be obligated to fill in the older registration details while filling the Form No. 6. Question: How Voter ID Card Registration could be done via Special Voter Registration drives? Is there a specific schedule for it? Answer: Special Voter ID Card Registration drives are organized by the collective effort of the Election Commission of India and the State CEOs, just before the Elections. The motive behind these drives is to clean (let’s just say tidy up) the voters’ lists of all the constituencies in such a way that only genuine entries find their place in them. During such drives, the BLOs and other concerned officials are available at the polling stations. This means that the aspiring voters need not visit the ERO office in order to submit their application forms as these could directly be submitted at the designated polling stations. This process ensures that those who wish to register as voters and are eligible to do so, are included in the voters’ lists of their constituencies in the quickest possible time. There is no specific schedule for such drives which usually take place a few weeks in advance of an announced Election. Therefore, the voters and those who wish to become voters, must make sure to keep a constant check on their States’ CEO websites, in order to know the dates of such Special Voter Registration Drives. Alternatively you can visit VoterIDCard.org.in for latest news about your State Electoral office. Question: I did not get my Voters’ Slip, can I still Cast my Vote? Answer: That’s a nice question. The Booth Level Officers of an area are the ones who are required to distribute the voter slips to all the voters. Sometimes, the duty of sharing voter slips is shared by some political parties which can promote their agenda by sending out fliers along with the distribution of voter slips. Since all the voters’ must be distributed their voter slips without fail, sometimes State CEOs announce that these shall be mandatory for the voters to carry to polling booth in order to be allowed to cast their votes. However, sometimes some of the voters may be left out due to human errors and, as a result, some voters may have to reach polling stations without their voter slips. This is not the end of the road, the voters can still collect their voter slips from the stalls set up by different participating political parties. If by some technical or human error, your voters’ slip was not printed then you may ask the polling officer to allow you to cast your vote if and only if you are able to prove your identity and you have your name listed in the Electoral Roll. Question: How to find your assembly constituency? Answer: To find your Assembly Constituency, you can simply visit the National Voters’ Service Portal. 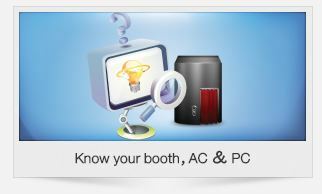 On the website, you would find an icon which has the caption, ‘Know your AC and PC’. Clicking this icon would take you to ‘www.Electoralsearch.in’, where you can click on ‘Search by EPIC no.’ and enter the EPIC no. proceeded by the selection of your State’s name from the drop-down list, then click ‘enter’ to see the results. You can find Assembly Constituency from your State’s CEO website too. Question: How to find the nearest polling booth? Answer: Again, the NVSP website would help you locate the nearest polling station. Please note that each voter has a designated polling booth where his name is entered into the voters’ list. The details of this polling booth are mentioned on the voters’ slips. If however, you wish to get the directions to your prescribed polling station, you can easily get them on the official Election Commission of India website. Just visit eci.nic.in and click on the link saying, ‘Know your polling station and BLO details’. On the landing page, you have to enter details like State/UT, District, UT and Polling Station (if you already know the location but just want to get the direction). All these details are entered on a page with embedded Google Maps so that you can locate and get directions to your polling station, as soon as you click ‘Search’ after entering the required details. Question: What is the URL of my State’s CEO Website? Let us know in the comments if you have any concerns around Voter ID Card (Nirvachan Card) or casting your vote. Our team is here to help you out.